Immersed in the countryside of Cilento, in a small hamlet at 10 km from the sea resort of Palinuro, we offer beautiful villa with a luxurious garden (0.35 hectares approx.) 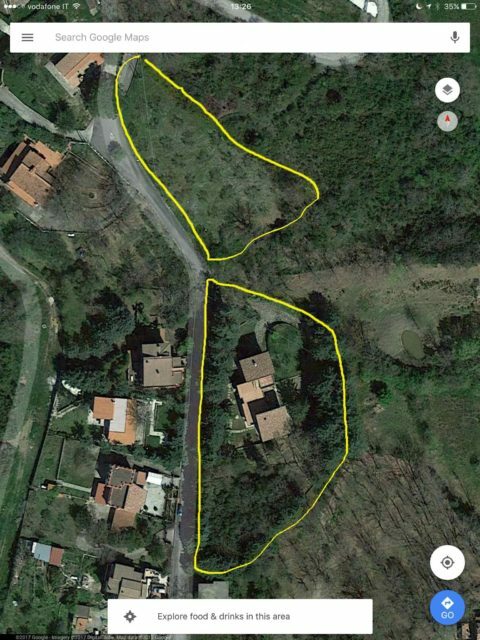 and 0.2 hectares of land approx., with olive groove. – Basement: accessible via external doors that are on the side of the building, consisting of a 40 sqm garage including a bathroom with shower, a second environment of 20 sqm used as technical room (boiler, pumps, etc.) and a local storage of 25 sqm used as cellar. 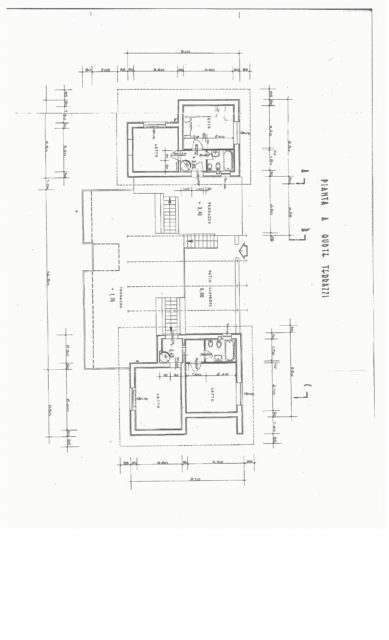 – Ground Floor: double entrance on both side of the property; main entrance leading to kitchen and sitting room on two sides of a small corridor and two opposite stairs leading to the two “wings” of the the villa. On the left side wing, two bedrooms with bathroom and walk-in wardrobe. On the right side wing, one ensuite bedroom and a second kitchen. External door leading to a patio area. Each room, with the exception of the bathrooms, has exclusive access from the outside through doors or balconies. 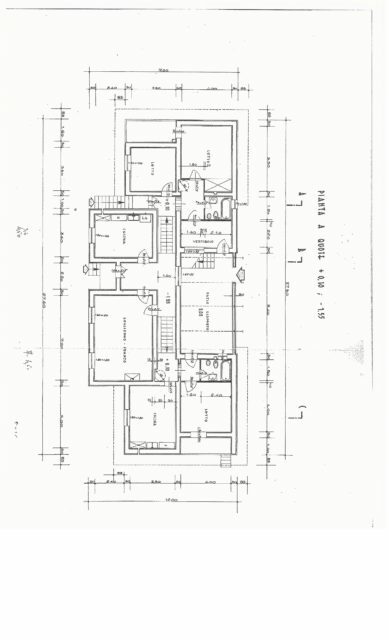 – First floor with access via external and internal staircase: Left wing side internal connection via a spiral staircase and external staircase with a small terrace. 2 bedrooms with bathroom. Right wing side internal connection via spiral staircase and external staircase, 2 bedrooms with bathroom, for a private house of 50 sqm each side. – Agricultural land for about 0.2 hectares: about 50 olive trees. – Area used for parking with trees with irrigation system and lighting; a luxurious garden with palm trees approx. 3500 sqm. – Terrace area: 15 x 6 m terrace area which can easily accomodate an outdoor pool with sunbathing area. Gorgeous view on the Palinuro bay. 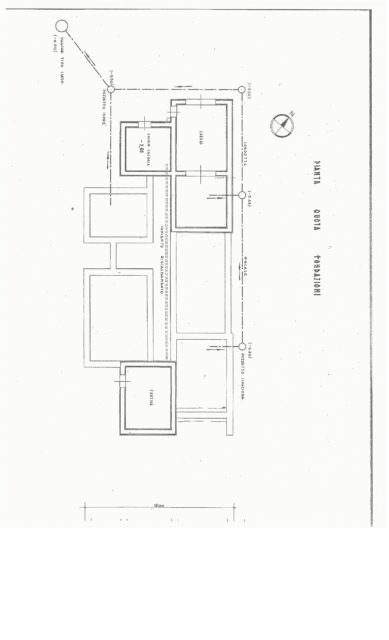 The structure is heated through an oil fired boiler and 2 fireplaces, the circuit is divided into 2 zones. The farmhouse is just a few step away from the Palinuro resort with its marvelous beaches, from the Greek archeological site of Paestum and the countless cities of historical / cultural and religious interest such as Padula, Roscigno vecchia,Trentinara, places of nature, culture and history. Easy access from a paved road, the nearest SS 18var exit (Centola) is only 10 km away, while the Airport of Napoli Capodichino is 170 km away . The villa is connected to mains water and electricity, and there is an oil burner heating system. The area has good mobile phone reception for telephone and 3G internet. Renewable energy sources such as solar panels can be available on request. The property is being sold by two different families which own one “wing” each. One member has been given “power of attorney” so negotiation process will be smoother, easier and faster as well as “Atto pubblico di compravendita”. L&G Properties Srls will restore the house using local craftsmen and will issue the regular sureties when receiving each payment. Palinuro is part of the Cilento and Vallo di Diano National Park, an area of “shrubland” typical of Mediterranean countries. The name of the town is derived from Palinurus, the helmsman of Aeneas, as recorded in the fifth and sixth books of the Aeneid. It is popular with tourists, especially in summer, due to the cleanliness of its waters and beautiful beaches; and is regularly awarded five stars Blue Flag. The town is also famous for the caves along its coast,which are regularly visited, especially by frogmen, such as “Grotta del Sangue”, “Grotta degli Occhi”, “Grotta delle Ossa”, “Grotta Azzurra”.